Professor David Newby graduated from the University of Southampton with a Bachelor of Science and Bachelor of Medicine degree in 1991. He has worked in Edinburgh for over 15 years and obtained Doctorates in Medicine, Philosophy and Science. Professor Newby is British Heart Foundation Professor of Cardiology at the University of Edinburgh, Director of Research and Development for NHS Lothian, Director of the Wellcome Trust Clinical Research Facility, Director of the Clinical Research Imaging Centre, and a Consultant Interventional Cardiologist at Royal Infirmary of Edinburgh. Professor Newbys principal research interests are in endothelial and vascular biology with particular relevance to acute coronary syndromes, valvular heart disease and heart failure. His work focuses on clinical experimental and translational medicine studies. He currently holds a Programme Grant from the British Heart Foundation to explore the adverse cardiovascular effects of air pollution and is a member of the Committee On the Medical Effects of Air Pollution. Professor Newby has been involved in several multicentre trials and has played a major role in the conduct of the SALTIRE (Scottish Aortic stenosis Lipid lowering Trial, Impact on REgression) and 3CPO (Health Technology Assessment trial of non-invasive ventilation for acute cardiogenic pulmonary oedema) trials. 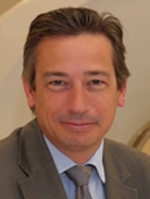 He is chief investigator for the SCOT-HEART trial funded by the Chief Scientist Office; a national multicentre randomised controlled trial of computed tomography coronary angiography in patients attending the Rapid Access Chest Pain Clinic. For his research, he was awarded the British Association of Pharmaceutical Physicians Prize, the Croom Lectureship (Royal College of Physicians, Edinburgh), the BUPA research award for the best emerging clinical researcher in the UK, the John French Award (British Atherosclerosis Society) and the Goodall-Strickland Medal (British Cardiovascular Society). He has written several successful educational books that have received major national awards (British Medical Association Book Awards, Highly Commended: Coronary Heart Disease: Your Questions Answered; Society of Authors, First Prize (Richard Asher Prize): Cardiology: An Illustrated Coloured Text). Professor Newby currently sits on the Editorial Board of the Arteriosclerosis Thrombosis and Vascular Biology, Biochemical Pharmacology and Heart. He is a member of the Experimental and Translational Medicine Research Committee of the Chief Scientists Office at the Scottish Government. Professor Newby was the Vice Chair for the development of the Scottish Intercollegiate Guideline Network (SIGN) guidelines for the management of acute coronary syndromes.